The Metro Area Box Lacrosse League has been a staple of the adult lacrosse community in the Washington, DC area for almost 40 years. Originally founded in 1978 by Byron Snyder, the league has survived in various locations in the DC Metro area. 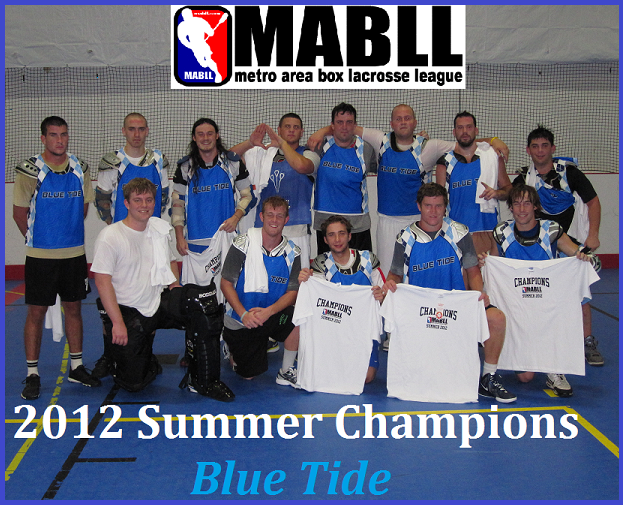 MABLL Summer League Info - Registration Open!! After a rough start and entering the playoffs as the 4th seed, Team Cavalier wins its second straight MABLL Championship taking the summer title. Sean Tobin manned the nets and stood tall making several key saves to beat the Flyers who also advanced to the final as the 3rd seed. Scott Joyner took game MVP honors with 5 goals. Welcome to the premier box lacrosse league in the Washington, DC area. 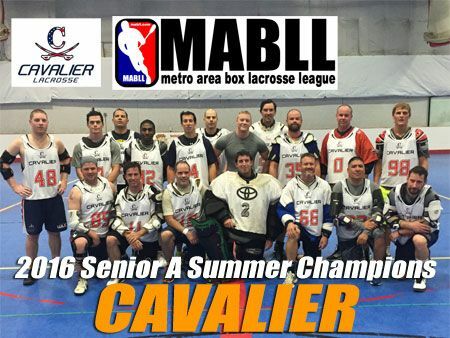 The MABLL offers "real" box lacrosse for players of all ages. "Real" box lacrosse includes the use of small goals (4x4'6"), padded goalies, all short-sticks and is played on a hockey rink. Our home arena is the Dulles SportsPlex located in Sterling, VA and the Wheaton Sport Pavillion in Wheaton, MD.